There are still five months until Star Wars: The Force Awakens opens in theaters but a new Star Wars anthology film has just been announced. The first film in the stand-alone Star Wars films is Rogue One and that opens in 2016. 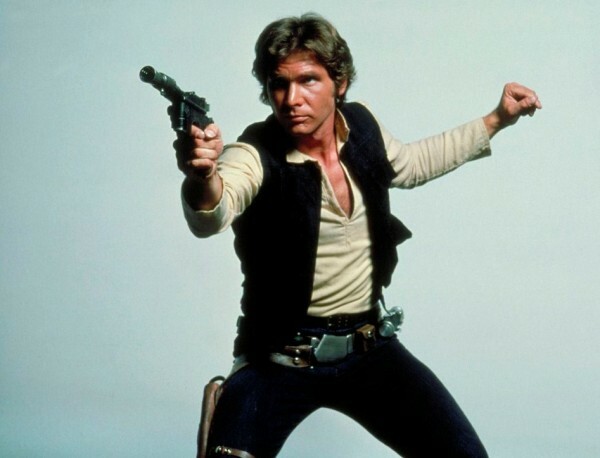 Two years later fans will see the second stand-alone film and it’s going to be a Han Solo origin story. The film will be directed by Christopher Miller and Phil Lord (The LEGO Movie) with a script by Lawrence Kasdan and John Kasdan. According to StarWars.com the story will focus on how a young Han Solo became a smuggler and thief in the years before meeting Luke Skywalker and Obi-Wan Kenobi at the Mos Eisley cantina. No one has been cast in the film yet, but it’ll be fun to speculate about who might play the young Han Solo. The as-yet-untitled Han Solo film will open in 2018.